Who built this Vault Door? (circa 1910) National Safe & Lock Co??? Thread: Who built this Vault Door? (circa 1910) National Safe & Lock Co??? Reaching out to find the manufacture of a vault door we're working on before we Pin-stripe it. Normally we find the builder during dismantling, or by the lines of the door/hardware, etc., but we were unable to do so on this one. We believe it's a National Safe & Lock Co door. However we haven't seen a vault door made by them, only safes. 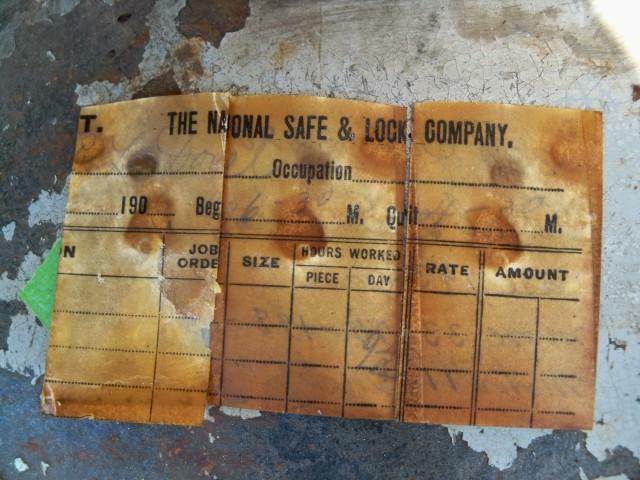 The reason we think its a National door is we found company Timecards between the door slab and the hinge which were used as shims with National Safe & Lock Co. on them... Great find and neat to see the actual craftsmen's names who worked on the door, but we want to be sure. Attached are some before and afters with various details to help, if someone needs to see a specific detail not shown we can post additional pictures as needed. If anyone recognizes the door, lets us know. Thank you. I would guess that you are correct. 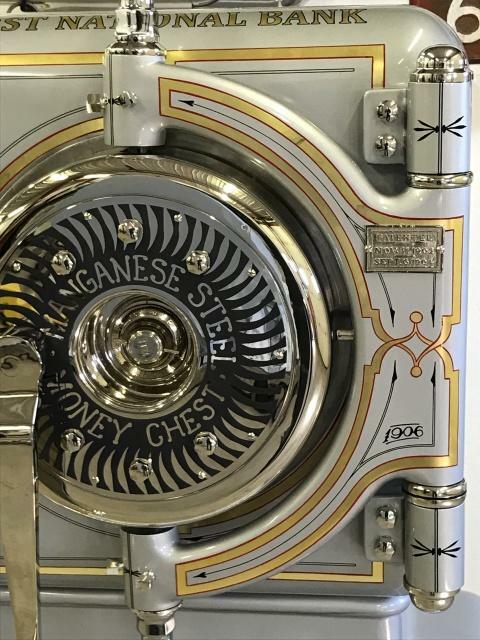 When I restored my National Manganese Money Chest there were time cards used to shim the lug door also. Because of the time card pieces, I was able to fit some together and see the serial numbers worked on and I was able to date the safe to 1906. Also, the hinge hardware is very similar to my bank safe so I would bet on it being a National. Perfect, thank you for the info and pictures. The hinge Finials and washers match, great find. I figured the timecards told the story, but wanted to be sure. I now feel comfortable moving forward having this additional information. 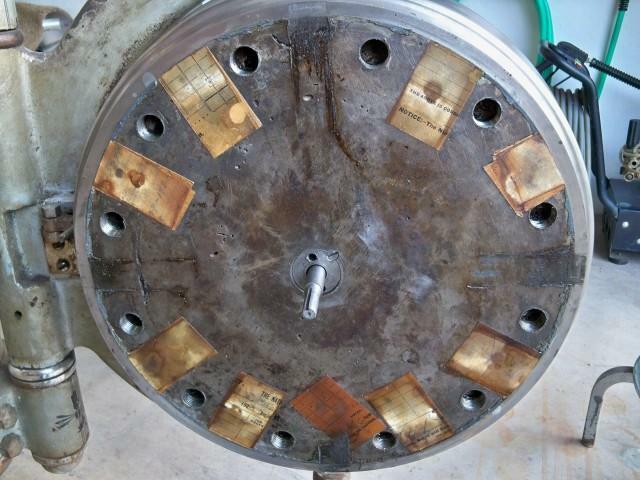 Question: Has anyone seen a National Safe & Lock Co. vault door before? Or better yet, have pictures of it? More of a curiosity now. Again, thank you for the confirmation, 247. I have seen several, but the big question is whether I have any pics. Is it me, but I am not seeing any vault door pics here as well. 00247 that National is stunning. Pictures would be great, many of the details on this door were destroyed by previous owner's paint job.